Red Bull's Max Verstappen during practice. Max Verstappen left Formula One title contenders Lewis Hamilton and Sebastian Vettel trailing on Friday by dominating Mexican Grand Prix practice before his Red Bull was halted by an hydraulics problem. Last year's race winner looked a good bet to become the youngest driver on pole position in Saturday's qualifying with the 21-year-old Dutchman impressively quick at the high-altitude circuit. "We have a good car, good downforce, good mechanical grip," commented the youngster, who appeared unconcerned about the complete power loss 10 minutes from the end of the second session. Mercedes' world championship leader Hamilton, who was some way off the pace, would have no quarrel with another Verstappen victory since that would also hand him his fifth title with two races to spare. Ferrari's Vettel, now 70 points behind the Briton, has to win to have any mathematical chance of denying Hamilton the crown but he also looked some way off the Red Bull's pace. Renault, also Red Bull's engine providers, were best of the rest with Spaniard Carlos Sainz third in both sessions. 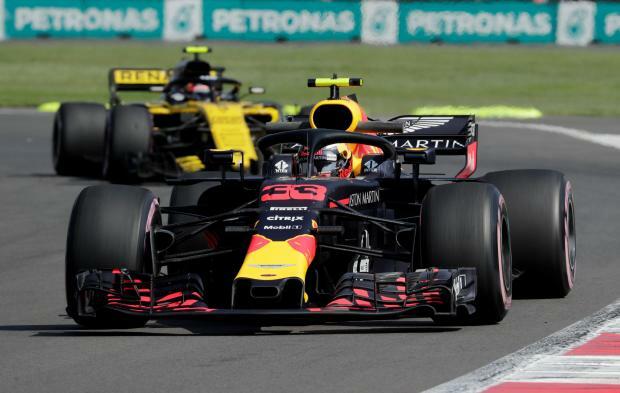 "The engines are struggling for air, the brakes, the cooling... we're running the same wing as (slow and twisty) Monaco and we've got the same downforce as (high-speed) Monza," said Red Bull boss Christian Horner. "I think we are able to run the car in its optimum state and we've got a power unit that this weekend looks competitive relative to the others." Horner said that if Verstappen's car needed an engine change, the driver still had one left in his pool and should not face any grid drop. "We've got some ground to catch up on, so we're now going to go through everything in the debrief and look at all the details to find some answers," said the Briton. "I don't think we had a tidy lap, we should have been in front of the Renaults," said the German. "I think everybody is on the limit with tyres and trying to get them to work in order to slide less, with the exception maybe of the Red Bulls." "It will be interesting to see where they are tomorrow," he said. "I think the Red Bulls with the Renault (engines) made a step forwards." Toro Rosso's French driver Pierre Gasly collected a 15-place grid penalty after engine partners Honda changed components in the car's power unit.